Specific permissions can be granted to various objects of the selected tenant(s): jobs, repository items (databases, storages, aliases, retentions, shortcuts and Exchange connections), schedulers and also to the processed contentACCESS data (e.g. permission to manage the archive mailbox). 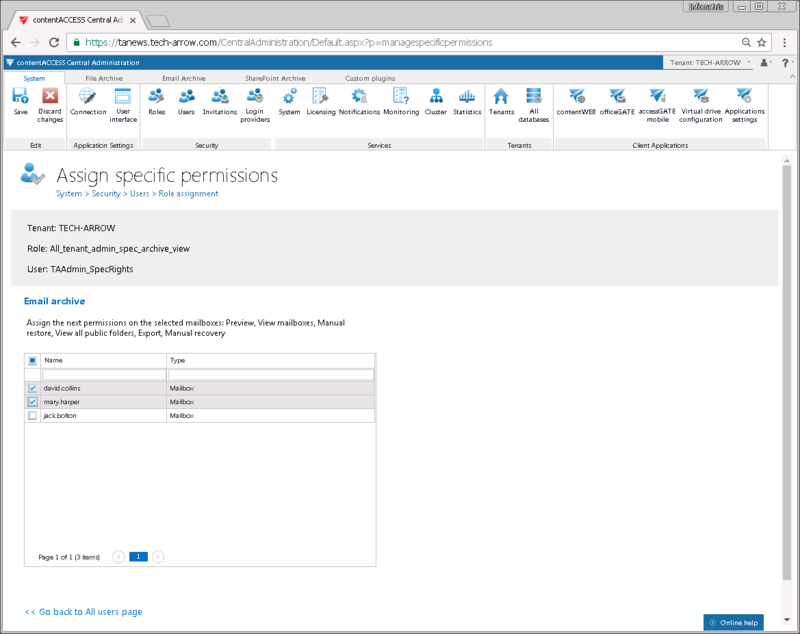 The administrator decides, which objects of which tenants will the user (with the given permissions) be able to manage. Specific permissions of a role assignment can be granted on the Assign specific permissions page. Only the objects with “Specific allowed” permissions are listed on this page (e.g. if TECH-ARROW tenant was selected, then TECH-ARROW’s jobs, repositories etc. with “Specific allowed” permissions are displayed). From the Role assignment dialog (user’s “Assign role” context menu option) when assigning a role to an already existing user. 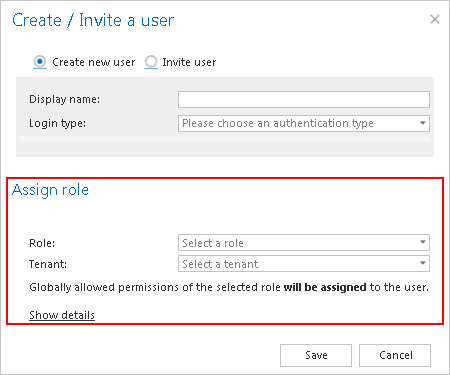 Important: If the user selects “All tenants” in the dialog (option is available if “Manage all tenants” permission is defined in the given role), then specific permissions page won’t be opened. The “All allowed” permissions (global permissions) will be granted to All tenants automatically.